I went for alovely run this morning with Elvis and my camera. It’s been a while since I did my back in and I gave it long enough to recouperate, but it wouldn’t play ball – so I just started to run again anyway. After a brief venture up Ingleborough last weekend, I had a 40 minute run this morning up Bull Hill – in the most spectacular anticyclonic weather. Bleeding gorgeous. The back still aches, but running’s designed to hurt anyway, so I intend to carry on, weather permitting. A few of the 15 minutes of fame ticked off. In a slightly odd and certainly unpredictable series of events, I had the enjoyable and very memorable experience working on a video diary with Sam Bailey of BBC’s Countryfile programme the other week. It was all strange in many ways – not least because I’ve worked for the Countryside Commission and then the Countryside Agency for almost twelve years now and have been keen to promote my work on the programme, but when my turn came, it was because of a bike race!Most of the readers here will know of my obsession with the Three Peaks Cyclocross race, a long, hard, mountainous cycling race every September. Every training ride I do is taken over by thoughts of riding the Three Peaks, and part of my obsession has manifested itself in the race blog I keep. Anyway…. to cut a long story short, it’s because of the blog that, when the BBC heard about the race and were doing a feature on the area, they contacted me to do a video diary.I had a great day filming with them (the five hours or so was useful training and mind-preparation! ), and the video diary and race were shown on 8th October. Click on the images to the left to watch the coverage, split into two episodes! It’s Sunday night, the bikes are washed down, Lily’s in bed, and it’s a lovely moment to sit here and contemplate what a great day I just had. I prepare for this race as if it’s the only race that matters, and can’t say that there’s been a bike ride or fell run during the last year that I haven’t thought about the Three Peaks. A great day out with work – managing to somehow wangle another beautiful day out in the mountains under the name of working – getting to know future colleagues for the impending merger. Yep – life’s tough at times…..
Had a great day out on the bike with my brother Phil, taking part in the 105 mile Cumberland Cycle Challenge. A challenging but rewarding route with just under 3,000 metres of ascent, based around Brampton near Carlisle. There was weather to put most Belgian cycle classics to shame – including about two hours of hard, driving rain and very strong westerly winds. 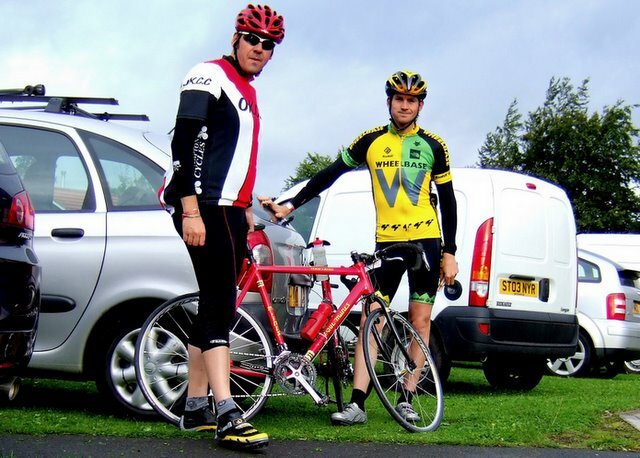 The event was very well organised (by Border City Wheelers) and I enjoyed riding with Phil all day – a real luxury to spend time like that with your brother and true bonding. In cycling terms, I was really pleased with how I felt, and it’s the start of my finishing touches to this year’s Three Peaks cyclocross training. 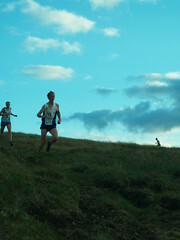 Had the great pleasure of doing the Whittle Pike race on Wednesday evening. 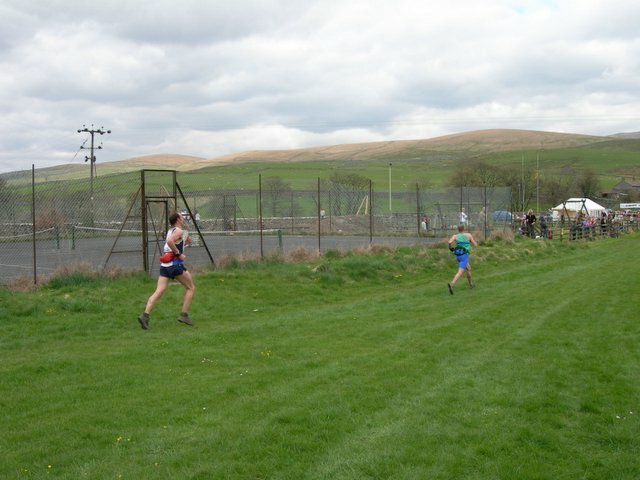 Whilst it’s not a towering Lakeland peak, it’s a classic fell race, incorporating the most formiddable steep climbs and descents you could manage on a relatively small Rossendale hill. There was a good field and a had a really good race – finishing thirteenth out of 112. I lost a couple of places after a nasty ankle twisting incident before a crucial ‘brakes off’ descent near the finish, but I’d done a great run and was really pleased with how fast I went. My fitness is still there even though I’m about four pounds heavier than twelve months ago. A flying trip up to the Lakes with my colleague Gareth for a long awaited summit ascent. Dazzling weather meant a good deal of people had similar ideas, but we managed to circumvent the queues on Striding Edge largely by jumping over people’s heads and standing on their hands. A lovely dip in Red Tarn rounded things off superbly for yet anohter memorable day in this seemingly endless British summer. A ride over all of the (tarmac) Lakeland passes. I did a respectable ride and finished in 6 hours 38 minutes. I was the 34th finisher from 516 finishers (and quite a few more starters), and was pretty pleased with the result. I’ve never been a good climber so the challenge was always going to be interesting for a 13 stoner. I used the right gears (39 tooth chainring on the front and a bottom gear of 32 teeth on the back). The tiny gears seemed ridiculous at first but as soon as I hit Honister Pass at 48 miles I knew they were a wise choice. Quite a number of people had underestimated the steepness of the climbs and were in for quite a bit of pushing the bike and a long day in (and out of) the saddle. The climbs of Newlands Pass (after the first feed at Buttermere) and then Whinlatter Pass were both rhythm climbs which suited me much better than the uneven gradients of the others. I had a good leg from there to the final feed at Gosforth (86 miles). Going on from Gosforth I was starting to get into dodgy territory – the gorgeous surroundings of the lower Eskdale valley were no distraction from the worry I was about to cramp up. I saw the zig zags of the one-in-three climb of Hard Knott pass (101 miles and the highest point on the ride) dotted with people pushing bikes ahead of me and was resigned to a tough climb. However, to my surprise, riding on my own, I managed to get into some sort of a rhythm and, apart from the stench of burning clutches from all the slow passing cars around me, I felt surprisingly comfortable. The descent of Hard Knott is viscious – with no time to look at the views, and constant braking as you screech down the staircase-like hairpins. The final climb of Wrynose pass is a mere two miles up the valley and I had no problems with my easy gear on the easier side of this high pass. I’d ridden this side of Wrynose with Richard (Hannaford) in 2005 on a bottom gear of 42-23, so I knew I’d be fine. The final run-in is deceptive, and with about 600 feet of climbing over to Coniston is not to be sniffed at after 107 miles. Still – with so many mountain passes in the bag it was an easy spin and a lovely power ride over the last couple of miles. Haven’t had much sporty stuff on the blog for a bit – time for an update about what I’ve been up to and why I can’t walk faster than a snail’s pace today. I had a pretty good run in the Three Peaks Race yesterday . It’s not the hilliest fell race there is but at almost 24 miles it’s a hard, hard endurance event. I’m sure there are tougher things to do, but it’ll do me for now. Key headline is that I finished ten minutes quicker than my first one (last year), with a time of 3hrs 44:59(click for split times). 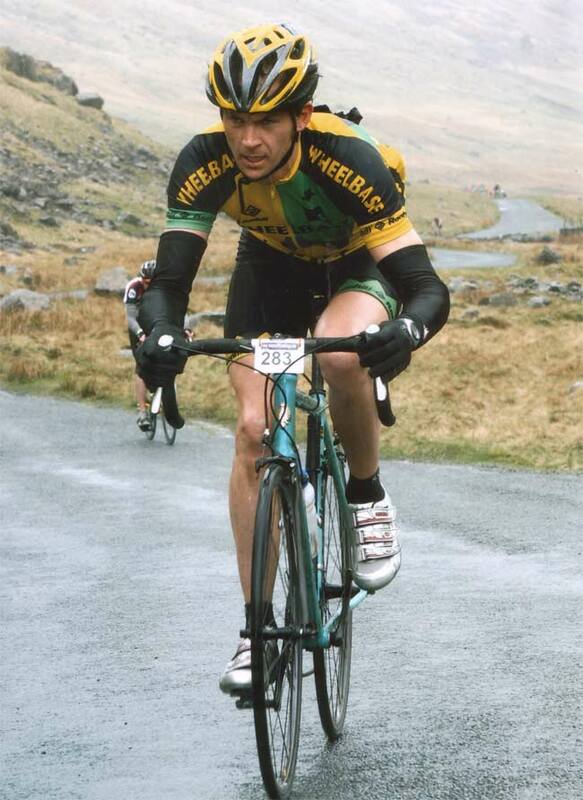 My cycling team mate Rob Jebb won for the second year running with 2:54:15 – a four minute improvement on 1995. Somehow, because of a stronger field, I guess, I finished five places further down the field than last time…. Managed to prepare pretty well but the main worry was that I’d been cycling a bit more than I should have been. There’s not much substitution for running as training for this distance, with the 4,500 feet of climbing and (importantly) hard descending. The main ‘lesson’ I took with me from 2005 was to go out a bit more gently and leave plenty in the tank for the finishing 10 miles. That said, I somehow managed to get up the first mountain, Penyghent, two and a half minutes quicker than 2005. Ooops. The long stretch after descending the fast track from the summit didn’t seem to take its toll too much – I reached Ribblehead knowing that I hadn’t over-stretched myself a full five minutes quicker than last time. 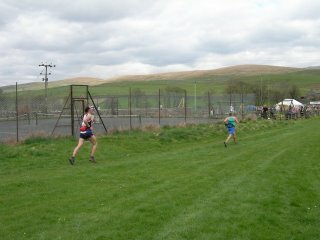 Although I improved on every split, things just got so much harder after Ribblehead. I was starting to get very tight calf muscles (all than non-running training!) and the decline in my wellbeing was compounded by a nasty fall on an innocuous bit of rocky track next to the Settle-Carlisle railway. A lamb ran out in front of me and I just caught a rock with my left toe and went straight down in a heap. Sitting there for 30 seconds or so I was in quite a bit of pain, but made what was to be the right decision in getting up and seeing how I felt. Three or four minutes of limping and nursing a bit of a bloody knee was all it took before it soon mingled in with the rest of the pain and got pushed from my mind. From the summit of Whernside, the highest and steepest part of the race, I started down the next descent a little bit more cautiously. Partly because of the fall, and partly because of the nagging signs of cramp in my calf muscles. I had a nasty spasm of cramp that I quickly dealt with by belting it with my fist (! ), then continued down the steep track, fingers crossed that all the flat tonic water I’d drunk during the race (quinnine reduces cramp, apparantly) was working. By the time I reached the Hill Inn (the last point you can logically pack in!) I knew I was going to get back in one piece, but had to slow my pace – drastically, to keep the cramp at bay – in would have stopped me dead in my tracks and I knew it – so I had to be wise and mentally strong in letting people run past me. The competitive urge is hard to overcome, but I was right to lay off for a bit. The climb of Ingleborough was satisfying – the end’s almost in sight and although there’s an attrition on the legs that you can’t describe unless you’ve experienced it – you know you’ve done it. The four mile descent back to Horton in Ribblesdale is a bit of a cruel one. The gradient is gentle, but an uneven path surface is cruel on tired legs and aching feet. Again, I had to let people pass me, knowing that if I tried to stay with them, I’d be rolling on my back in the side of the path with cramp for five minutes. The final false-flat passes excruciatingly slowly, then, ‘you bloody beauty’ – I can see the road only a few hundred yards ahead. After I came over the line I got a great hug from Lily and it was ace to have some family in support. I really seized up afterwards and have been hobbling about for 24 hours since. Well worth it though. 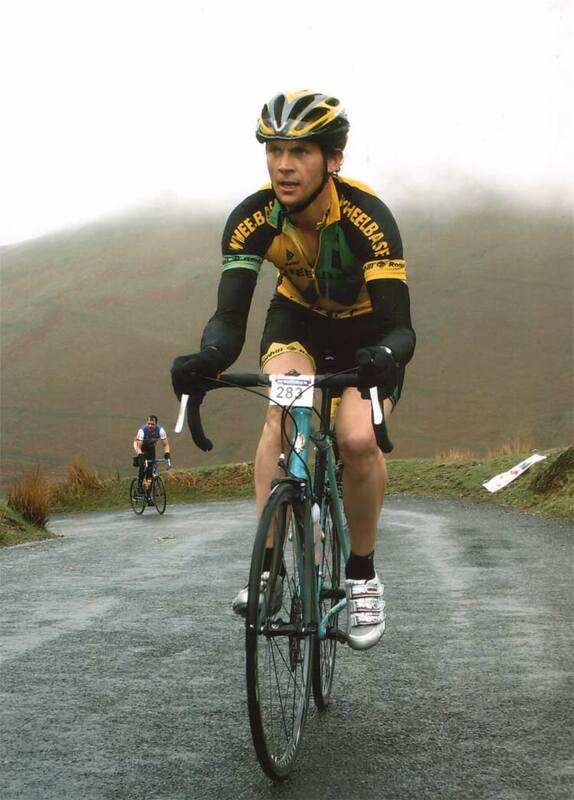 Matthew (Pixton) defeated his demons, having had to pack in 2005, and overcame some horrible cramp to finish in 4 hrs 49 – will “never do it again” (my words, 2005 – maybe he’s got more conviction than me though!). Carl (Nelson) was not so lucky at his first attempt and blisters got the better of him. His long walk down from Whernside to the bus back to safety added insult to injury. Mike (Cottrill) soldiered round in 5:03 – a hard day out, but got a good finish under his belt. A perfect weekend of walking in dream-like conditions with brother Phil, cousin Adrian and five otherlucky people. Can’t wait til next year! Day one; Carneddau – including the second highest point in Wales, Day 2; Moel Siabod and a good ridge and great views of all the 3,000 footers from the summit. My friend Matthew ran in the Snowdon Marathon – a hilly road and trail marathon and clocked 3:56:03. 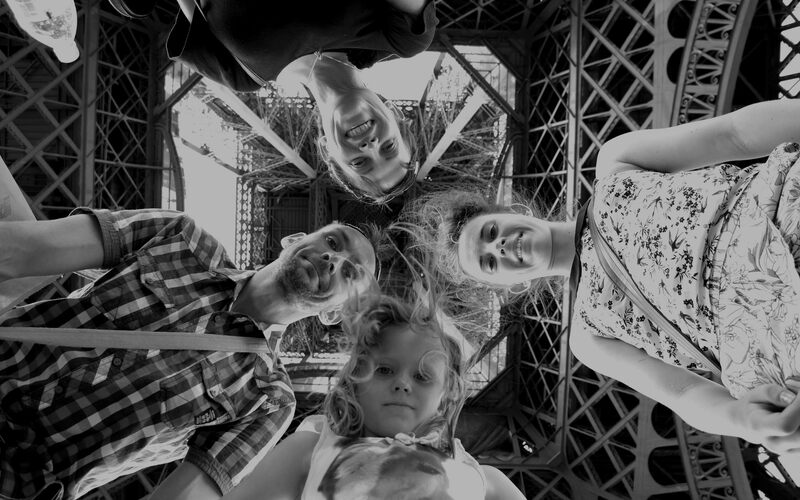 Nice work… Click here to see the results.